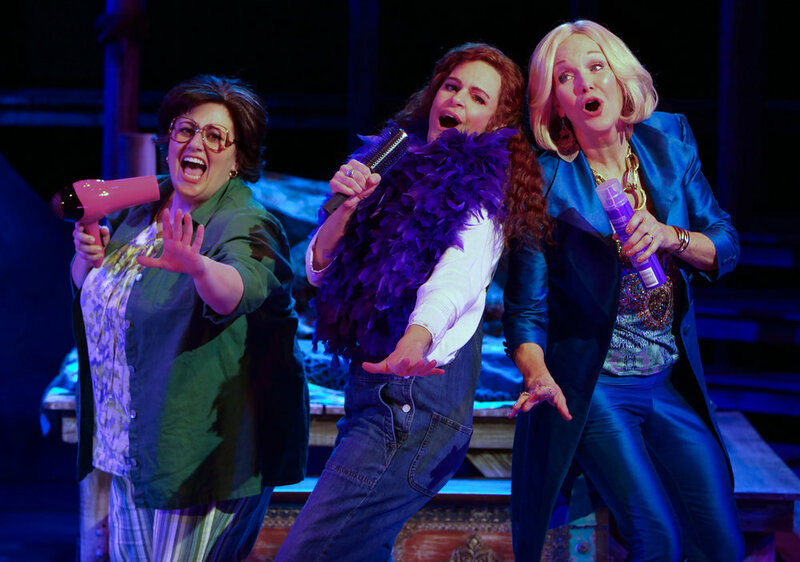 It could not be a better time for the Chanhassen Dinner Theatres to be opening their run of ABBA’s famous jukebox musical, Mamma Mia. Just as the sun is finally starting to peek out from this awful winter we’ve had, many of us got transported to a beautiful island in Greece with some incredible songs and a cast that sparkles just like a sequin disco jumpsuit. For me, this show really can do no wrong. No matter how many times various theatres do it, I’ll always be there singing at the end during that mega mix and dancing the aisle. No matter where it is and when it is, I’ll be there and I’m so happy I turned up for this production because it was truly a disco-licious evening. This quaint dinner theatre completely transports the audience to a beautiful island in Greece through Nayna Ramey’s set design, Sue Ellen Berger’s lighting design and Rich Hamson’s costume designs. The combination of all three are harmonious and create a very exotic and vibrant set of colors that evoke the true feeling of a tropical getaway. Berger creates an immersive experience through her lighting design by including some of the hanging lights above the audience. It was unique and fun which really helped the audience feel like they weren’t just watching a show during some scenes but like they were apart of the party. The cast creates truly energetic and genuine moments on stage. The beauty of seeing performers in this show, along with one of the most magical moments, is when you can just feel their happiness.No matter what number they are doing, I couldn’t help but have overwhelming sense of joy watching them have as much fun as they were having. Whether it was an ensemble member or a lead, they were all beyond fantastic and kept a lovely pace throughout this show under Michael Brindisi’s direction. Starting with the great duo that is Tanya and Rosie, played by Michelle Barber and Therese Walth. There really isn’t a show of Mamma Mia without these two characters being strongly cast and Barber and Walth are. Barber, last seen in Holiday Inn at the Chanhassen, is a chameleon of a performer as she completely transformed for this role and keeps up with Walth’s hilarious and dynamic banter. While I thought about this often, it was Walth’s performance of “Take a Chance” that made me realize how much I was in love with this cast’s singing. I love it so much I’d want a cast recording of it. Kersten Rodau, who plays Donna, is so thrilling and exciting to watch. Her voice is strong and has an effortless belt. Rodau voice and performance is the perfect mix of theatrics of Broadway along with the flair of ABBA. She goes to new heights in the second act as she showed off an incredible amount of stamina as she sang three songs in a row, two of which are extremely difficult ballads being “Slipping Through My Fingers” and “The Winner Takes It All.” The range of emotion that Rodau shows is spectacular as all three songs feature three very distinct feelings; nostalgia, unconditional love and utter heartbreak. Other highlights include Jessica Fredrickson playing Sophie Sheridan who had a lovely Megan Hilty quality about her that made her adorable but strong. Michael Gruber, who plays Harry Bright, shows off a stunning control of his voice while flipping through his falsetto to chest voice in “Our Last Summer.” Aleks Knezevich plays Sky and is charming as ever with just the flash of a smile. Rush Benson plays Pepper, one of Sky’s friend and Donna’s employee, and really shows off some impeccable dancing during Does Your Mother Know. 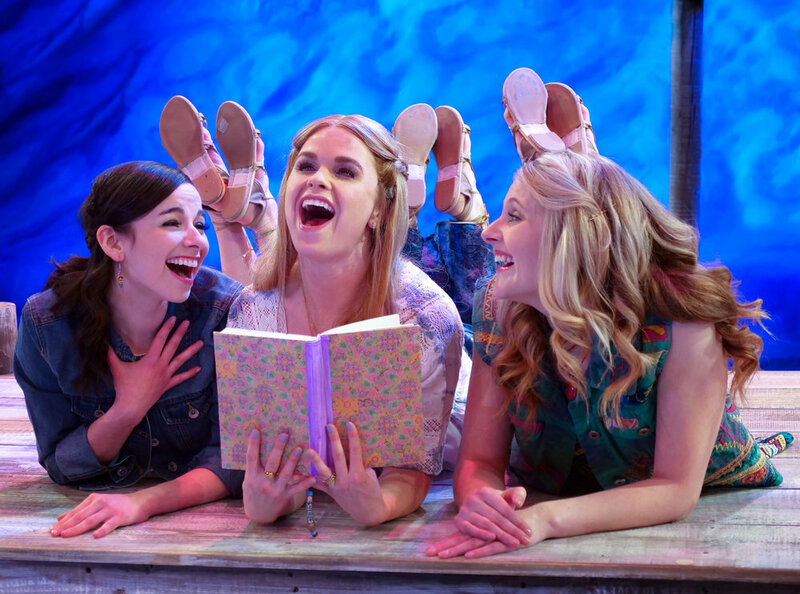 Chanhassen Dinner Theatre’s production of Mamma Mia is a cross-generational delight that pleases the young, who grew up listening to ABBA with their parents, and those older who lived through the times of this mega music group. *Plot borrowed from the review I wrote about the Ordway’s production.